US Bio-Clean provides safe, cost-effective sharps management programs across Arizona. 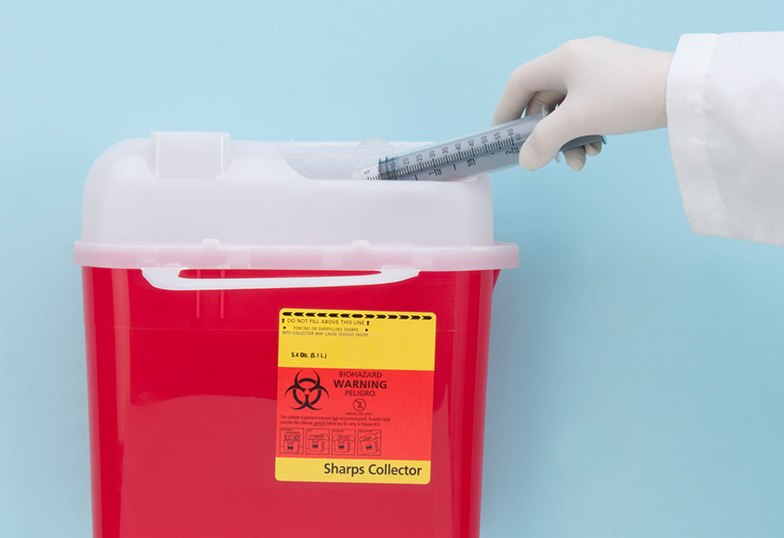 “Sharps Only” programs for those who only need sharps container disposal. Sharps container replacement services to ensure you always have what you need on hand. Sharps containers in a variety of shapes and sizes with assorted brackets, stands and carts. Sharps containers made from recycled plastic to minimize environmental impact. What Items Classify as Sharps? When disposing of sharps, it’s important that your business is compliant with federal and Arizona state laws. Stay in the know with our OSHA training.